Learn how Alltek Services is improving the IT network performance, infrastructure and security for its latest Polk County FL real estate agency client. 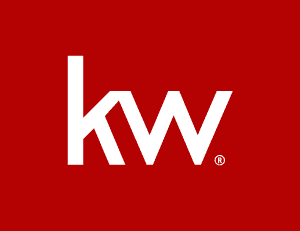 Alltek Services, the leading Polk County and Hillsborough County IT services company, is pleased to announce our newest real estate client – Keller Williams Winter Haven. Alltek is deploying multiple solutions for the real estate firm, including improving security and replacing network infrastructure. The improvements will allow the agents and other employees to work faster, collaborate better and access systems and data easier. The Keller Williams Winter Haven work is just the latest example of real estate and property management IT services Alltek delivers every day. This is the third Keller Williams agency to sign on with Alltek. What Real Estate IT Issues Are Being Addressed? Keller Williams Winter Haven has been having a few roadblocks regarding their IT infrastructure. The internet speed at the office was often low. That can be particularly troublesome when you have dozens of agents coming in and out of the office. The executive team at Keller Williams decided to invest in a full review and network upgrade. The Alltek professional services staff has begun a deep dive into the network to review the current setup, and provide fiscally responsible improvements to make sure their team is secure and running at full speed. One of the most significant upgrades that will be made is the installation of two fully managed Dell SonicWALL firewalls. Firewalls protect the perimeter of your IT network, detecting suspicious activity and requests for access, and preventing unwanted intrusions. Firewalls are one of the many critical security provisions we provide to keep networks, hardware and software protected. The world of cybersecurity is changing fast, so we keep our clients up to date on the latest in security hardware and software. How Can Network Performance Be Improved? In addition to revamping the Keller Williams Winter Haven network security, we will be replacing much of the networking hardware. Often, bottlenecks can occur when networks are not configured and optimized to allow for a better flow of information and easier access. These upgrades will eliminate the obstructions and allow for better network performance for all employees. Alltek offers area real estate firms a review of existing network infrastructure. We will evaluate your firewalls, access points, workstations, servers, applications and cabling and recommend affordable solutions that will help you improve your performance. We will design and install your infrastructure solution, maintain it, train employees and provide continuous support. What Other IT Services Are Offered for Real Estate? Alltek understands the unique needs of real estate agencies and is ready to help you solve your pressing IT issues. Are you ready for your network review? Reach out anytime at Info@alltekservices.com or give us a call at 863-709-0709, extension 2. You can also chat with some of our members on our website.